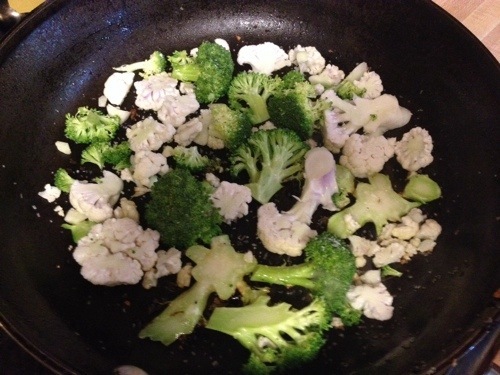 Ah, fall, time again for broccoli and cauliflower – two of my favorite vegetables. I did not get a chance to plant them in August, but there are plenty of locally grown broccoli and cauliflower to be found. When you have nice, fresh vegetables, sometimes the best thing to do is a simple pan-sear with garlic and some tomatoes, tossed with pasta, yum! 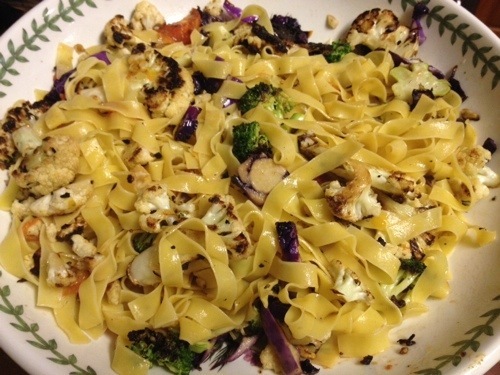 I happened to have some red cabbage left over from another dinner, so I pan-seared that and tossed it in as well. It added such a nice flavor and color it will become a regular addition. 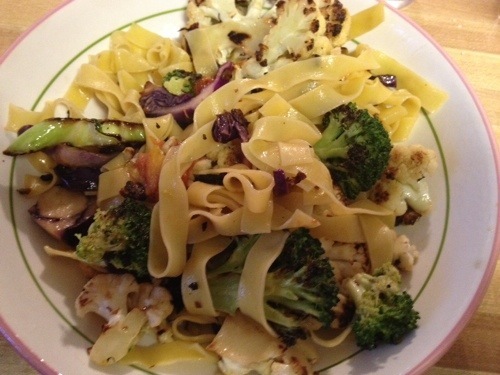 I used a tagliatelle as my pasta, but any pasta you like would work well. This is 3 large servings, you can easily double the recipe for a larger group. Bring a large pot of salted to boil and cook the pasta according to package directions. In the meantime, heat a large skillet over medium-high heat. Add about 1 Tbsp olive oil. Working in batches Add vegetables and some of the garlic in 1 layer, so each piece comes in contact with the cooking surface. Sprinkle with Kosher salt to taste. Cook for 4 to 5 minutes, once the vegetables have a nice sear on them, turn them over and cook on the other side for another 4-5 minutes, until sear-ed and cooked through. Place in a large bowl while working on the remaining batches. When the pasta is done, mix in with the vegetables. Adjust seasoning, serve and enjoy! Serves 3 with large servings. 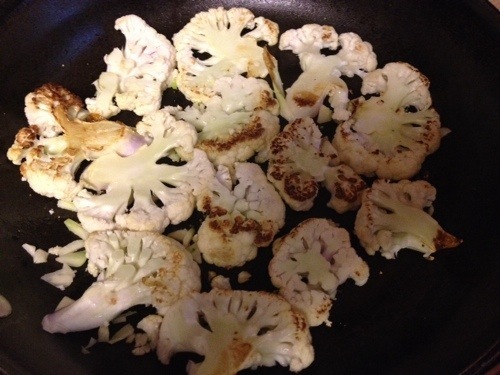 I have just recently become a cauliflower lover! YUM! 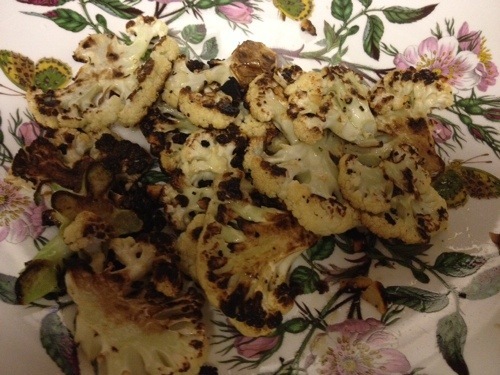 Pan-seating and roasting…turns cauliflower heavenly!